The use of antibiotics in meat production is a major contributor to one of the biggest threats facing human health in the 21st century: antibiotic resistance. Finding a solution to this requires us to start taking responsibility for our actions. While one person eating meat has an imperceptible effect on antibiotic resistance, multiply that by millions of people around the world and you have a global crisis. One way to tackle this would be to introduce a tax on meat produced with the use of antibiotics, to take account of our moral responsibility for the cost of our actions. And most meat eaters are responsible. Any meat you buy in your local supermarket has probably been reared with the use of antibiotics. Antibiotics aren’t just used for treating disease but also as a preventative measure, and, outside Europe, to promote animal growth. Estimates of total annual global consumption of antibiotics in animal agriculture vary considerably but could be as much as 240,000 tonnes. And their use is set to increase by 67% from 2010 to 2030. Perhaps most worryingly, our “last resort” antibiotics are routinely used in animals, with devastating effects. 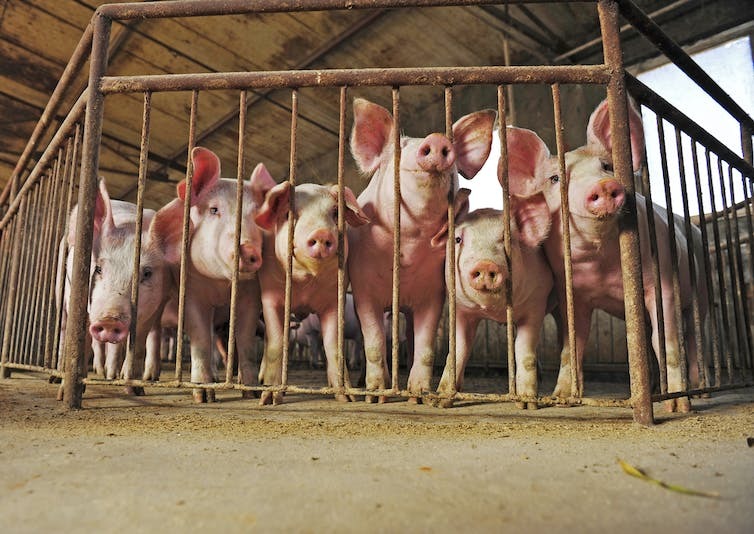 E. coli bacteria resistant to the antibiotic colistin were found in 20% of animals tested during research in China, where it is habitually given to pigs. The effect of a tax would be twofold: it would discourage consumers from buying this kind of meat, and it would help fund a transition to more sustainable methods of rearing livestock. Our global dependence on antibiotics in livestock farming means an outright ban isn’t feasible. Fortunately, there are alternatives, although predictably they’re more expensive than using antibiotics. Vaccines, improvements in hygiene, less dense stocking of animals, the use of nutritional supplements and breeding more disease-resistant animals could all significantly reduce the need for preventative or therapeutic antibiotics. As for growth promotion, there is evidence suggesting that antibiotics aren’t as beneficial as previously thought. In contrast, the negative effects of the massive and poorly-regulated use of antibiotics are beyond doubt. 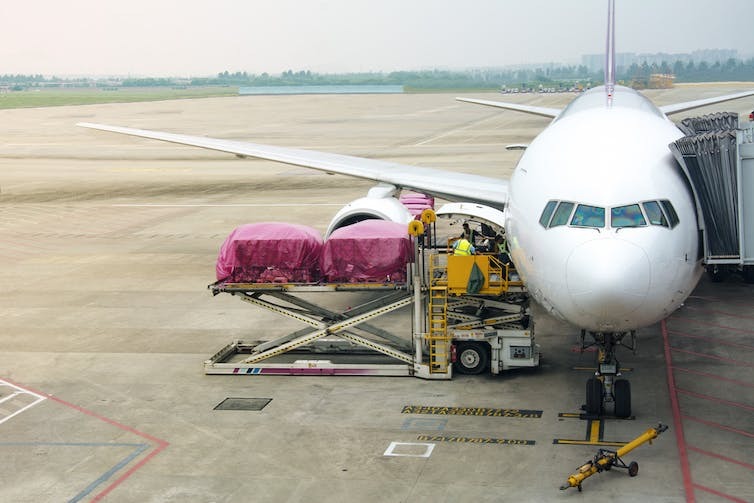 These resistant bacteria can be passed to humans through contact with animals and meat consumption, and are able to spread easily and quickly, thanks to international travel and commercial traffic. Antibiotic-resistant bacteria know no national boundaries. So it is in all of our interests to tackle this problem on a global scale, something a tax could do by subsidising better production strategies in less developed countries. Antibiotic-resistant bacteria can spread globally in a matter of hours. Taxing meat would be a controversial approach for any government to take, but we need to intervene now in order to avoid catastrophic consequences, for current and future generations. Faced with the very real prospect of a “post-antibiotic” era, in which we lack effective treatments for many infections, we need a solution urgently – and urgent solutions often call for unpopular measures. People who eat antibiotic-tainted meat are eroding our global collective resource of antibiotic effectiveness, so they are causally and morally responsible for the cost of that erosion. Vegans, by contrast, are not. It seems only right that those who are responsible for a certain harm bear the costs of remedying it. Reducing antibiotic use in animal farming is crucial and possible, but it will require us to take responsibility for our actions. A tax on meat obtained with the use of antibiotics seems the most reasonable and fair solution. What effect will such a tax have on animal welfare? What happens to a farm animal that is infected in a facility that does not use antibiotics? I would guess he or she will be killed and the body discarded, which would mean that more animal-hours are required to satisfy a given amount of meat-demand. That would be bad. This suggests it would be better to just tax meat in general, whether antibiotics were used or not.